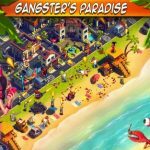 Pixelsquad’s Crime Coast is a mobile game that has a lot of similarities to Clash of Clans, but not in terms of the game’s setting. While this is one of the many games where you can build your own city and join a clan of your own (or “Mafia” in this game’s case), the setting here is a crime-riddled in-game universe, where gang wars are rampant and criminals of all nations have been flocking to the coast. You can choose a henchman to represent your gang, have a corrupt attorney break criminals out to join your gang, and loot rival Mafia lords’ territories while protecting your own city. 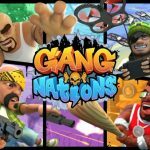 Yes, we told you that this game is similar to Clash of Clans but ultimately different, and if you’re new to these kinds of games or just new to Crime Coast in particular, we have some really cool Crime Coast tips and tricks to help you build a fantastic base and then some. At the start of the game, you really don’t need to pay much attention to order when building structures and upgrading them. However, there will come a time where this becomes a somewhat important concern. Your storage units should be the first to be upgraded, as you want a lot of space to hold that loot. Your defensive structures will ideally follow, and after that, order wouldn’t matter that much anymore. Then again, it might, as upgrading your mansion wouldn’t be necessary until the later stages of the game. 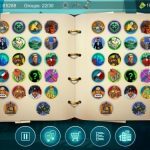 It’s recommended that you level up your mansion once all other buildings have fully been upgraded. The obvious thing to do to protect your city is to surround it with a huge, seemingly impenetrable wall. But that doesn’t make much sense if you think about the possibility of enemies getting in simply by breaking one of the walls. What you’d want to do instead is to build more “rooms” – this would be like walls within walls, which would make it harder for the enemy to penetrate your base. Traps are best used if you place them in such a way that they surround defensive structures. This would give them an extra layer of defense should an opposing player strike. You can’t expect to have an edge over the enemy if your troops aren’t leveled up properly, which makes research very important and something you have to do throughout the game. In other words, all your troops should be researched and upgraded properly. 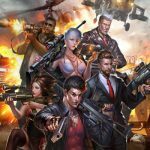 Like Clash of Clans, this is a game that really requires you to get social, and as we said above, the Mafia is your equivalent to clans in Clash of Clans. Join a Mafia as soon as you could, as this will allow you to have more troops to help you out in battle, and a chance to communicate and learn from other players.